Founded in 1966 on the premise of the Good Samaritan concept, the Good Sam Club unifies common bonds of shared passions and brings people with a willingness to help their fellow outdoor enthusiast together. Whether it’s fellow anglers and boaters helping one another out at the launch, hunters gathering to help recover an animal, bikers making trail side repairs, or campers lending a hand to set up camp; the spirit of the Good Samaritan is alive in the outdoors. Good Sam Club is committed to making your outdoor adventure – whether on the road, over trails, or on the water, a safer and more rewarding experience. By becoming a member of the Good Sam Club, you're not only able to take advantage of exclusive savings, but you are part of our outdoor enthusiast family. Everyday Savings - Save up to 10% every day at Overton’s retail locations. 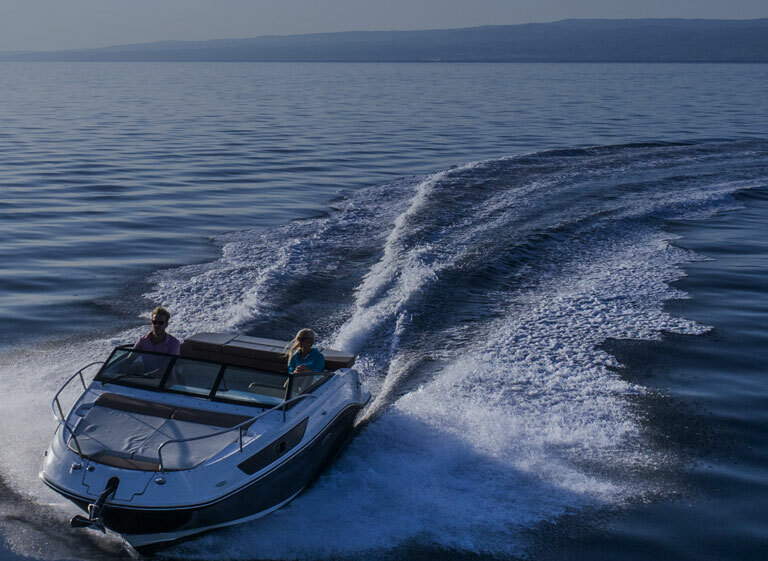 Service Discounts - Enjoy 10% off all installation & services for boats including winterization, wrapping & storage at Overton’s in Rogers, MN. Plus, 20% off live bait, and free line winding. Members-Only Specials - Enjoy members-only specials with significant savings on a variety of items. Extended Return Policy - Members who have maintained a continuous active membership status may return any unused & unopened product, purchased on Feb. 9, 2018 or later at any time. Good Sam Club membership must be active on the date of product purchase. Product Protection Discount - Save 10% on Good Sam Product Protection & enjoy coverage against untimely & costly repairs. Good Sam Guide Series (formerly Good Sam RV Travel & Savings Guide) - The only print directory of RV parks & campgrounds in North America with all the RV resources, outdoors lifestyle tips & travel tools you need for your next outdoor adventure! Members save over 65% off the retail rate - only $9.95! Everyday Savings - Save up to 10% every day at Gander Outdoors retail locations. Service Discount - Save $10 on the posted hourly service rate at Camping World SuperCenters on your RV repair needs. Online Trip Planning - Easy-Quick-Free. Plan your next trip using the Good Sam Trip Planning tool. Good Sam Show Discounts - Save up to 25% off regular adult admission prices on up to two admissions at Good Sam sponsored RV shows. Receive the discount when purchasing tickets online or at the on-site ticket office by showing your Good Sam Club membership card. Exclusive Price on a MotorHome or Trailer Life Magazine Subscription - Enjoy 12 issues of MotorHome or Trailer Life magazine at a member-exclusive rate of $12.97! 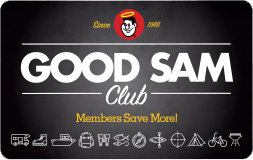 Good Sam Extended Service Plan - Club members have access to a members-only RV mechanical breakdown insurance designed exclusively by & for the Good Sam Club. Good Sam Extended Service Plan is mechanical breakdown insurance that goes above & beyond a manufacturer's RV warranty to protect RVers from the high costs associated with a mechanical breakdown. * Offers are not retroactive. Certificate(s) will be mailed in your membership kit. Please allow 2-3 weeks for delivery. Three-year offer comes with two $25 certificates.